However, there is somehow still an assumption by some tribal member/shareholders that starting a business is easy and creating profit is a forgone conclusion, based purely on the idea of having started a business. This group sees failure in business as unacceptable. There is also an assumption these business entities should be profitable because other similar ANCs and Tribes are profitable, that somehow all Native entities have access to the same resources and talents. Of course, these assumptions are false. Not all ANCs and Tribes are created equal. This group measures the success of their corporations by how well it compares to the most successful Native corporations. Creating a profitable Native enterprise from nothing is extremely difficult and very rare. If it’s so hard to start a Native business then why are some Alaska Native Corporations so successful? The top 20 Alaska Native Corporations create a misleading picture of the Alaska Native corporation community. It’s true, the top ten percent of the ANC community is financially successful. However, if one looks a little deeper at the top performing ANCs, we can see a majority of their start-up businesses did not begin from “nothing” and can actually be placed into two major categories; Natural resources and government contracting. ANC businesses outside of these two categories are most often the result of acquisition as opposed to internal start-up . I’ll admit it can be confusing as ANCs are large holding companies diversified with many operations, real estate holdings and stock portfolios. They are quasi-private entities with limited information available to the public and therefore a mystery to many. Natural Resource businesses are geography based. Either you have the good fortune to have valuable resources located on your land or you do not. The companies that create revenue from these resources have not created new value… they are simply exchanging value or selling assets. In many cases, a natural resource business is not self-sustaining. The top ANCs were built on natural resource businesses and continue to prosper from their land holdings. ASRC’s initial primary revenue came from oil and gas leases. In 2012, Nana’s Red Dog Mine produced 170 million in net proceeds for NANA prior to sharing through 7(i). The Native corporations in Southeast Alaska are blessed with rich timberland. 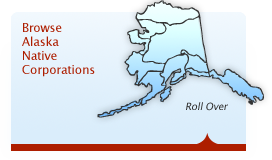 Every Native corporation in Southeast Alaska engaged in logging their land. Each created a new business to perform this activity but now, thirty years later, only a couple remain. No new products or services were created. No unique talent was needed. Board and management did not create anything new for the world, they just sold what was already there before they arrived. They transferred the wealth in the trees into dollars for company bank accounts. Once the trees were gone, the timber businesses closed. Alaska Native corporations and Tribal business can receive preferences when contracting with the U.S. government. Dozens of ANCs have filled their holding companies with a plethora of SBA 8(a) businesses. This program has provided ANCs with a real advantage and has allowed them to prosper as government contractors. As of 2009, about half of all ANC revenue came directly from doing business with the U.S. government. Every Native corporation listed on the “Top 49ers” list derives revenue through government contracting. Government contracting accounts for a majority of the earnings for many of these successful companies,. In 2012, revenue from government contracting made up 84% of KTC’s (The Kuskokwim corporation) revenue. This was a decrease from 2011 when 95 percent of their revenue came from government contracting. Should ANCs continue in government contracting and natural resource development? Yes, of course. They would be foolish to not take advantage of every opportunity available. The revenues gained provide benefits to Alaska natives that are greatly needed. In fact, without these successful businesses Alaska Natives would be in dire straits. These businesses provide the ability to sustain native culture, language and ways of life on the brink of being lost. I am proud of my Brothers and Sisters who have created this prosperity. However, I would like them to look ahead and take a second look at today’s situation. What happens when the natural resources are depleted and the government preferences go away? What about the rest of the Alaska native village corporations… the ones with their incorporation papers but no business? The ones surviving on 7(i) payments or the ones not surviving at all. They don’t have the good fortune to be near natural resource wealth and to have the wherewithal to start federal contracting businesses. Today, I am a director on two boards that ask the same questions. How can we make much needed revenue for our tribal members / shareholders? What businesses can we start? Are our only choices natural resource development and government contracting? The first step in starting a business outside the two main categories and with no money is to acknowledge it will be extremely difficult. With this understanding comes the acceptance that some attempts may come up short and fail. Failing in Indian Country is a death sentence. This is a serious topic I will address later in another paper. The next step would be to truly understand the fact that successful start-ups are only created by talented individuals. I believe in acquiring talent from wherever you can find it. I also believe in Native businesses growing their own talent. Both methods work and are needed. What’s important to understand is no business operates successfully for very long without talented individuals. In regard to these “talented” individuals, it’s more important to have the “right” individuals as opposed to business minds with high IQs. ANCs and Tribes value education. Many ANCs have successful scholarship and intern programs. We are now seeing the dividends of those programs paying off with the return of Alaska Natives with PhDs, JDs, MBAs and diverse work experiences returning home to work for ANCs and Tribes. Unfortunately, much of this talent is attracted to the Regional corporations and large village corporations and tribes instead of the small village ANCs and tribes. The Native talent pool is growing and eventually talent that only went to large Native enterprises will spill over to fill all positions; even in the smaller Native businesses. New Native leaders are emerging and are bringing with them new ideas of what a Native enterprise should be in the 21st century. These Native institutions may lack a “what” and “how” for their business but have an incredibly powerful “why”. It’s this understanding of “why” they are in business that has brought them this far and will propel them into the future. My wish for ANCs and Tribes is to grow talent from within, exploit unique strengths, provide tremendous value and to build enduring global brands that align with their Native values. However, let us first agree that it will be challenging and that we may stumble and fall because creating a successful new business is very hard. 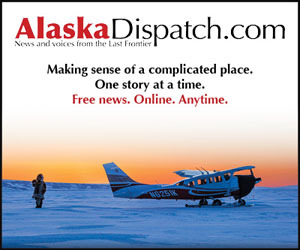 This blog post was was reprinted (and edited) by Alaska Dispatch and Indian Country Today.